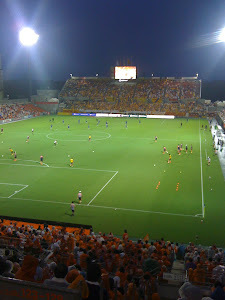 The first half of Golden week came and went, The sun shined and Omiya got a home win over bottom team Sapporo. We Squirrels looked forward to the team's trip down to Kobe, who had just sacked their manager, Masahiro Wada and installed an interim coach in his place, Adachi. However Ardija failed to capitalize and performed and lost dismally. The first goal came early, very early and was a complete disaster, a poor attempt at a defensive header and then a sloppy back pass from Kim let in Ogawa to score easily, and I guess things just deteriorated after that. Kobe wrapped up a relatively easy win in the second half with a nice strike from Lee on the 60th minute and an easy tap-in from Mogi on 68 minutes after Kitano could only parry a Kobe shot. This result meant Ardija slipped down the league table to 13th, and left fans worried by the performance and most likely thinking that the two recent home wins were hiding the truth of the team's level, or perhaps the inability of coach Suzuki to change his tactics depending on the team we are playing. On the latest J Talk podcast, Alan Gibson strongly predicted that Kobe would finish this season in the top three, so if that's the case, maybe by the end of the season this won't look such a bad result! The Kobe game was on the Thursday of the Golden Week holiday, and the Squirrels didn't have too long to wait for another holiday fixture, and on Sunday Gamba Osaka arrived in town to play at the Nack5. Although it was Golden Week, don't listen to the name too closely, as just prior to the planned match day kick off of 4pm a massive storm broke over the stadium and the kick off was delayed for an hour. Usually Gamba turn up at the Nack 5 looking down at Ardija from a lofty J1 league table position, but on this Sunday surprisingly enough, It was us looking down on them. Gamba have been having a rough old time of it this season, and are already out of the Asians Champions League, and have changed their manager. For the second time this week we would face a Kansai side going through changes and difficulties, although Kobe's are clearly not as deep as Gamba's and the coach change seems to be more about personality clashes with the players and not meeting the high standards of the owners. Standards which would probably do Omiya's owners just fine. Despite having said that Gamba had been poor this season, the Osaka side fairly bossed the first half, both in terms of possession and chances. The Omiya team that Suzuki has been picking recently, definitely has some skill about it, but is based on having just one forward player, who quickly becomes isolated and only thrives in a counter-attack situation when the other team's defence is stretched. This might work away from home, though clearly not against Kobe, but it's just not good enough for me at home. Secondly, this plan needs a striker on form, who "scores when he wants" and unfortunately Ardija do not have such a player. Yet somehow Gamba could not convert their chances and with Rafael off, and Hasegawa on we did. Cho got the all important winner in the 73rd minute when a Carlinhos shot from distance rebounded off a defender to Cho and he finished well. Three more valuable points for the Squirrels, and three home wins in succession. Definitely something for the fans to be happy about and makes a pleasant change from last season when home wins were very scarce! Konno said for Gamba, that it was one of their better performances of the season so far, even though they still lost. Who would have thought that after 10 games we would be 11th on 14 points. Well, probably a lot of people, but who would have thought that we would be on the same points as Nagoya Grampus, and above Cerezo, Yokohama, Kashima, Kashiwa, and Gamba. I would have bet decent money that most of those teams would be above us in the league. As it stands, it's a happy position for Ardija, if a close one. Nagoya have a game in hand, and Cerezo and Yokohama are only a point behind, the latter beginning to pick up form. It goes to prove that the J League this season is not an easy league to predict, which is hopefully keeping it interesting for the fans, especially those of us who follow the so called smaller teams and whom are enjoying seeing some of the big boys struggle. Funnily enough, on the latest edition of the J Talk podcast, host, Ben and guest, Alan Gibson both predict Omiya will easily stay in the J1. Mmm, I can't be so confident as they are, but certainly I hope their words prove correct by the end of the season.